NANCY BURKE is a writer, musician and psychoanalyst. Burke’s poetry has been published in Permafrost, Confrontation, The American Poetry Journal, Whitefish Review, The Seattle Review, Green Mountains Review, and other literary journals. 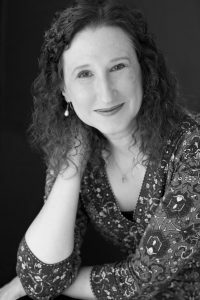 She has been a featured writer in After Hours, and her work has been recognized with a Gradiva award, an Illinois Arts Council Artist Fellowship, an Illinois Arts Council Literary Award, an International Merit Award from the Atlanta Review, and a Fish prize. American Goodbye is Burke’s first recording of original songs; her second record is due in 2019. An Associate Clinical Professor at the Feinberg School of Medicine of Northwestern University, Burke is on the faculty of the Chicago Center for Psychoanalysis (CCP), where she is the immediate past-president. She is co-chair of PsiAN (the Psychotherapy Action Network), is vice president of ISPS-US (International Society for Psychological and Social Approaches to Psychosis), and is a board member of CCP, Rainforest Relief, Show Up Stand Up and EMHS-NFP (Expanded Mental Health Services of Chicago). She lives in Evanston, Illinois, with her husband, two children, and three cats.